Last Saturday, at 10th of November 2018, Oxley Holdings had sold 110 units for their latest new launch condo development that is along South Buona Vista Road. This development, named Kent Ridge Hill Residences is a low rise private development located within 10 minutes walk from the Pasir Panjang MRT station. Comprising of 498 apartments which are of 5 storey high and 50 strata houses, this Kent Ridge Hill condo is made up of units ranging from 1-Bedroom to 5-Bedroom. The average psf of Kent Ridge Hill Residences is approximately about $1710. On the preview day, the one-bedroom apartment starts from about $773, 000 while the biggest unit type, 5-Bedroom Strata house starts from $2.808 millions. According to developer, 250 units were released during the preview. And out of the 110 units sold, coming to seventy percent of it were 1 and 2-bedroom. The 3-bedroom and bigger units made up remaining of the thirty percent. 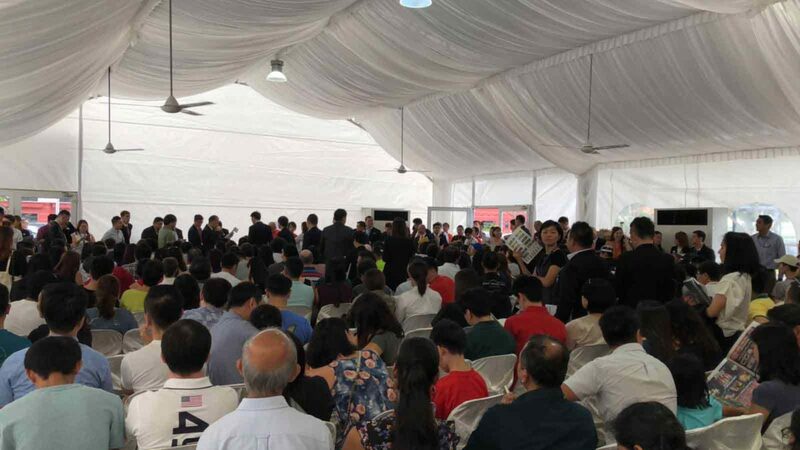 Buyers had already made their purchases and were waiting the the Kent Ridge Hill Residences Showflat. Almost four-fifths of the purchasers for this development are Singapore Citizens while a small minority of the buyers were either permeant residents or foreigners. Another development nearby will be Whistler Grand which is located along West Coast Vale.